Have you ever wanted to start over? If there was a “reset” button you could press to start your life afresh, would you be tempted? Loneliness is a big problem at Christmas. It cripples countless lives. We long for intimacy, for people we love and who love us in return, for people we can trust. But we live in a world where love and trust have been broken. It is because our relationship with God has been broken. Welcome to Grace Baptist Church Stockport. A friendly family church where the Bible is explained in every meeting. Spend Sundays with families from the church. Lifts available from the student village. 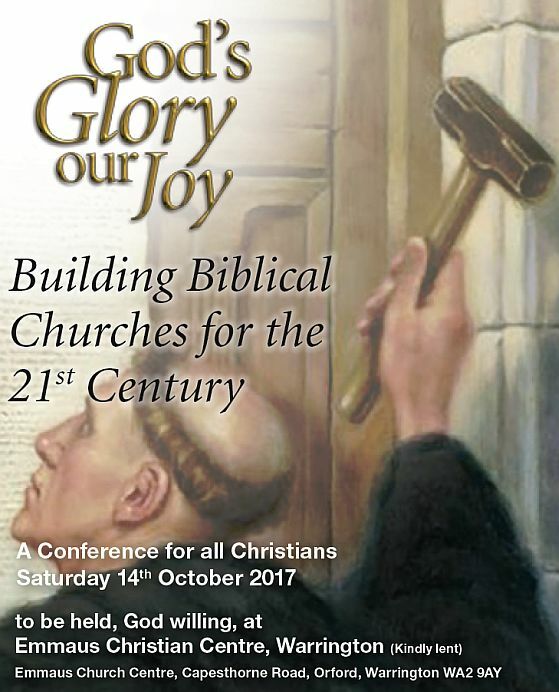 The conference sermons for 2017 are now available on the God’s Glory, our Joy website.